For more than just dinner out, surprise your Valentine in 2019 with dinner, wine and keys…88 of them to be precise. This year, Clayton Piano Festival teams up with Brick and Mortar Events on Valentine’s Day, February 14, for a spectacular evening of entertainment from world-class musicians. 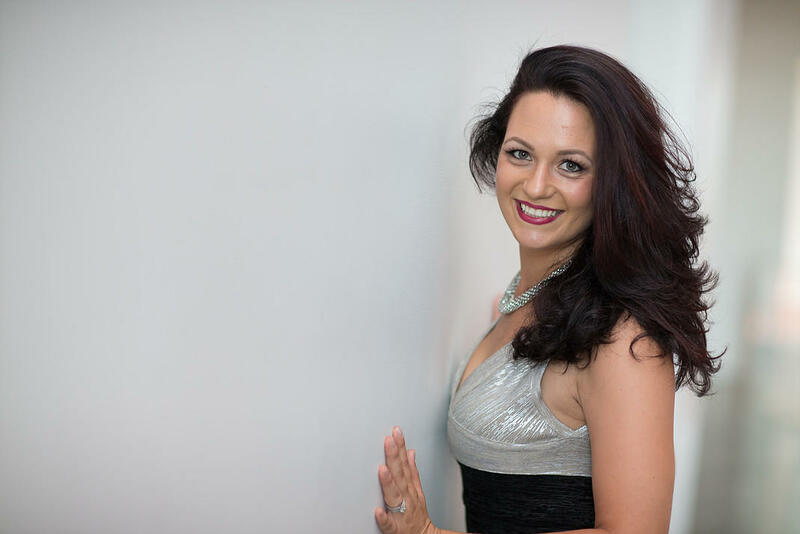 The magic of love, life, and music is celebrated with an eclectic program of classical music, jazz and art songs by Jazzical® creator and pianist Joel A. Martin joining special guest soprano, Adriana Velinova. Together they will bring you some of the world&apos;s most incredible music in an inimitable style - just one part of this lavish, one-stop romantic outing. This event is a favorite among followers of CPF&apos;s performances and newcomers alike. It includes a full course meal, cash bar, and reception afterwards, where attendees can mingle with the performers. “We’re excited about this collaboration with Brick and Mortar Events. This is a unique and elegant venue and I think it’s a perfect place for a Valentine’s Day outing, whether you desire an intimate evening with your spouse or significant other, or just a fun night out with family or friends,” Jonathan explains. “The event promises to be a very enjoyable, laid back and festive evening for everyone, performers included! Dinner begins at 6:30pm and ticket prices are $50 General; $45 Seniors 65 and over. Includes concert, full course meal, and reception. To reserve tickets, visit claytonpianofestival.org/vday2019. For more information about Clayton Piano Festival go to claytonpianofestival.org. Brick and Mortar Events is located in the heart of historic downtown Clayton at 217 East Main Street. 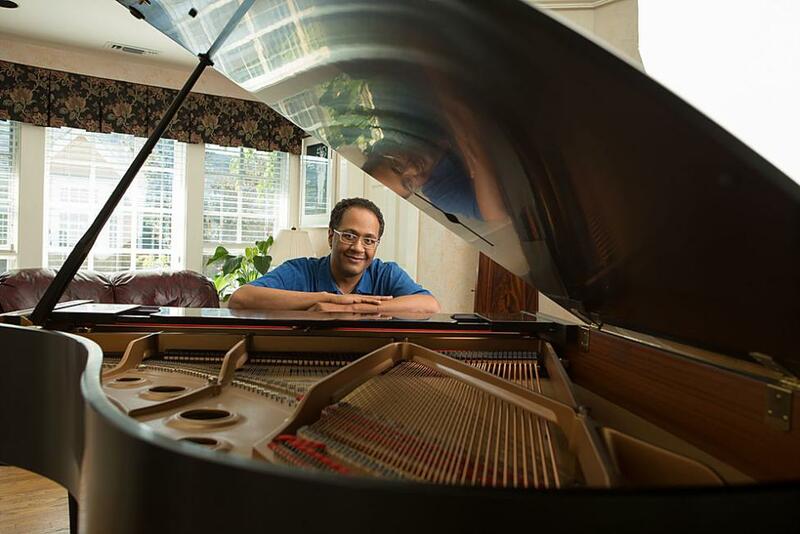 Joel A. Martin (The Bentley) is the creator of Jazzical®, a marriage of classical of jazz. Through Jazzical he has collaborated with and/or written music for Grammy® Award-winners Kathleen Battle, Fergie of the Black Eyed Peas, Brooklyn Youth Chorus, cellist Eugene Friesen of the Paul Winter Consort, and Rock and Roll Hall of Famer Jaimoe of the Allman Brothers. He has produced and played on critically acclaimed CDs by Brazilian jazz master Paul Lieberman, gospel jazz singer Jolie Rocke Brown, among many other artists. At 17 Joel was the youngest pianist ever, and the first African American pianist, to compete in the 1985 Van Cliburn International Piano Competition. He has appeared as soloist with the NY Philharmonic, El Paso Symphony, Springfield Symphony Orchestra (MA), Philadelphia Orchestra, Cab Calloway Orchestra, New Hampshire Festival Orchestra, and the Hartford Symphony. Adriana Velinova is a Bulgarian lyric soprano living in New York City. This past summer, she was a Vocal Fellow at Tanglewood Music Center for its 2016 season, where she was a soloist in Shostakovich’s Symphony No. 14 in a tribute concert at Seiji Ozawa Hall. She is a finalist of the Mildred Miller International Voice Competition. Ms. Velinova was recently seen as the Countess in Le nozze di Figaro with the Opera Theater of Pittsburgh. She has performed the roles of Nella in Puccini’s Gianni Schicchi, Madama Cortese in Rossini’s Il viaggio a Reims, and Parasha in Stravinsky’s Mavra under the baton of Maestro Joseph Colaneri as a member of the Mannes Opera. Ms. Velinova has sung Aurore in Massenet’s Le Portrait de Manon with the International Vocal Arts Institute, Montréal; and Lauretta in Puccini’s Gianni Schicchi with the UNLV Opera Theatre. She made her Carnegie Weill Recital Hall debut in the Musical Treasures from Bulgaria concert series. Tickets: Tickets: $50 General; $45 Seniors 65 and over. Includes concert, full course meal, and reception.